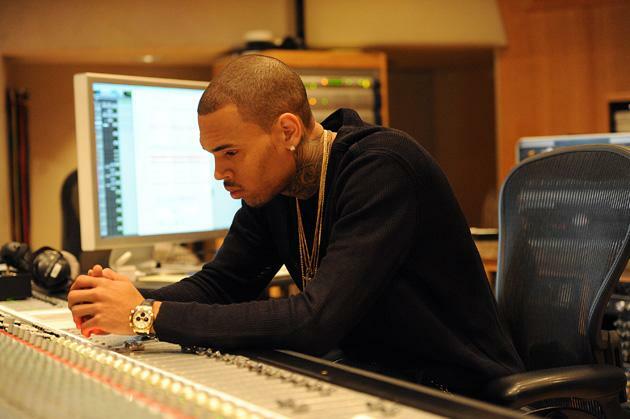 "It's not my job to try to persuade people to love me, it's only to try to make them love the music," Chris Brown says as he sits at the mixing board at Glenwood Studios in Burbank, playing songs from his new album, X, due out late summer. Even though the 23-year-old pop star isn't talking the specifics of his personal life today, he doesn't act as if he doesn't understand the impact his trials and tribulations – 2009 assault on on-again girlfriend Rihanna, numerous expletive-filled Twitter fights, and recent altercation with fellow R&B singer Frank Ocean – have had on his public persona. "People have their own opinions," he adds. "This record could only further whatever opinion they have." Based on the five songs Brown played, X will help give his music a makeover. 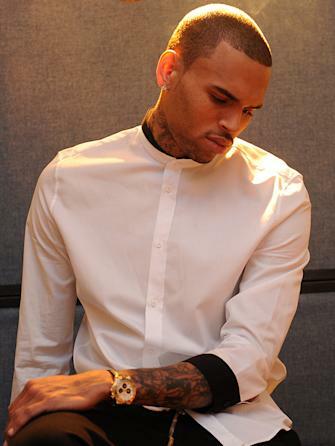 Brown's biggest hits have emphasized hip-hop bravado ("Look At Me Now"), electronic, dance floor anthems ("Turn Up The Music"), and an occasional breakup ballad ("Deuces"). X is on track to expand his sonic horizon. The album's first single "Fine China" uses fancy dinnerware as a metaphor for a delicate woman over a soulful, 1970's-inspired track. He offers more symbolism on the uplifting "Lady In The Glass Dress" and "Autumn Leaves." On "Somebody Else," he bemoans the pains of having his girl leave him for another guy. But it's the album's title track -- the first song on the album -- that resonates the loudest. "X" is the song that addresses Brown's actions that have generated tabloid headlines. Without making reference to particular incidents, he acknowledges the need to change his own behavior. He sings about being associated with the wrong crowd and vowing to stop the nonsense. In the heartfelt chorus, he repeats, "I ain't going back no more." When Brown says he's not going back, he is referring to the drama. "It's not in my path," he says. "It's not in my journey to focus on that. So it's like my focus is my creativity, my painting, my art, my love, my passion. As far as whether it's the negativity. Whether it's naysayers. It's not in my focus to enlighten them about who I am." Brown says there is a strategy for making "X" the first song on the album. "When ‘X' comes out or when you hear the first track on this album, you get a sense of, ‘Oh, sh-t, he's about to take us for a ride on this album.'" While Brown maintains that X will also include some of his trademark party records, it was important that the album show how he has evolved. "I just wanted to have more substance to who I am as an artist," Brown says. "When it comes to me explaining who I am like through my art, I wanted to be more mature." He hopes "Fine China" will win the approval of the artists who have influenced him. "When they hear it, I want Stevie [Wonder] or whoever that comes from that era to be like, 'That's music.' I don't need their approval, but I would like it. As far as my fans I want to give their ears something different." Produced by Rockstar and PK, "Fine China" is Brown's most musical sound to date. "I wanted to give a lot of live instrumentation, but still you can keep it in the club," he says. "It kinda gives you that nostalgic feeling of when Michael Jackson had Off The Wall and Stevie Wonder in their prime. … I grew up listening to different people – Donny Hathaways, Sam Cookes, Aretha Franklins. I take inspiration from all the greats." The album title X also has special meaning. "X is numerical," he explains. "My birthday is 5/5/89. So the Roman numeral 10 is X. Five and 5 is 10. Then, 8,9, 10. X is also the 24th letter in the alphabet. I'll be 24 when the album comes out." Brown seems to be in a good place. Despite his egotistical rants, he comes across as genuinely appreciative of his success. When asked how he has grown in the 8 years since the release of his self-titled debut album that included the No. 1 single "Run It," he offers an honest answer. "Me getting older, me being humbled by whatever trials and tribulations I've been through, me just being a regular guy," he says, "trying to balance that with being a super star."